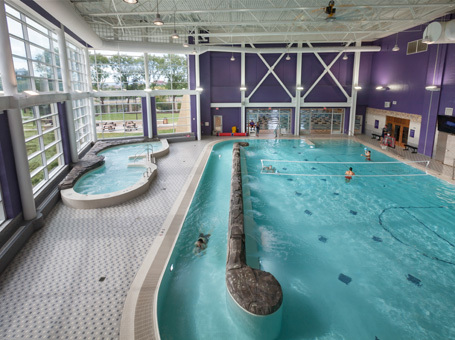 In 2015, James Madison University completed a significant addition and renovation to their University Recreation Center. The original recreation center opened in 1996 and was designed to accommodate 12,500 students. With current enrollment approaching 20,000, space is at a premium, and the existing facility was not able to serve the entire student population. 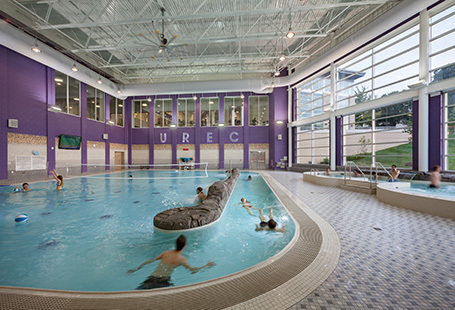 The new facility also contains the following recreational components: two new MAC courts that can accommodate two full-sized basketball courts; a four lane running track; wellness suite; expanded UREC administrative offices; faculty and staff locker rooms; fitness and weight training space; outdoor adventure sports area with climbing wall; and support spaces. LEED Silver certification is being pursued for the addition. Sustainable efforts include recycling the lower turf, reusing field lighting in other university locations, reusing soils and natural resources, and extensive use of natural light.